When choosing a Security Company to patrol your subdivision, there are a lot of factors to keep in mind and doing your research early will save you time and money down the road. How long has the company been in business? Who owns the company? Does the owner play an active role in the company? Is the owner a commissioned security guard or private investigator or personal protection officer? What kind of experience does the owner have? What kind of experience do the security officers have that are hired? Do they have police or military experience? Do the security officers have any specialized training? Are they Bike Patrol certified? Do any of the security guards have CPR/First Aid training? 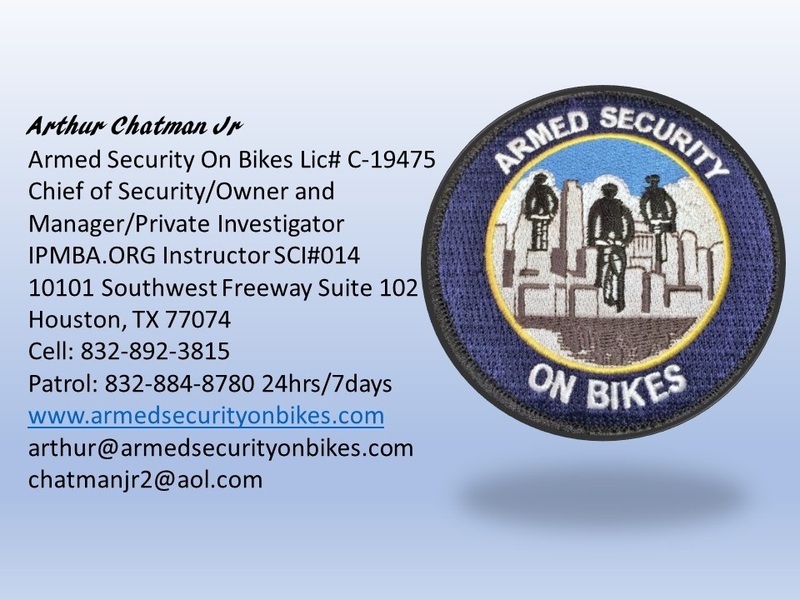 Are all the security guard’s firearm certifications up to date? Are their commission cards up to date? Are they required to take Continuing Education courses? Is the company a BBB member? Does the company belong to any Associations like IPMBA, ASSIST, ASIS or other organizations? Is the company licensed by the state and in good standing? Do the security officers have a uniform they wear? Does the company offer 24/7 Call Service? Meaning – will the company send a security officer to answer a call even if it is during non-contracted hours?